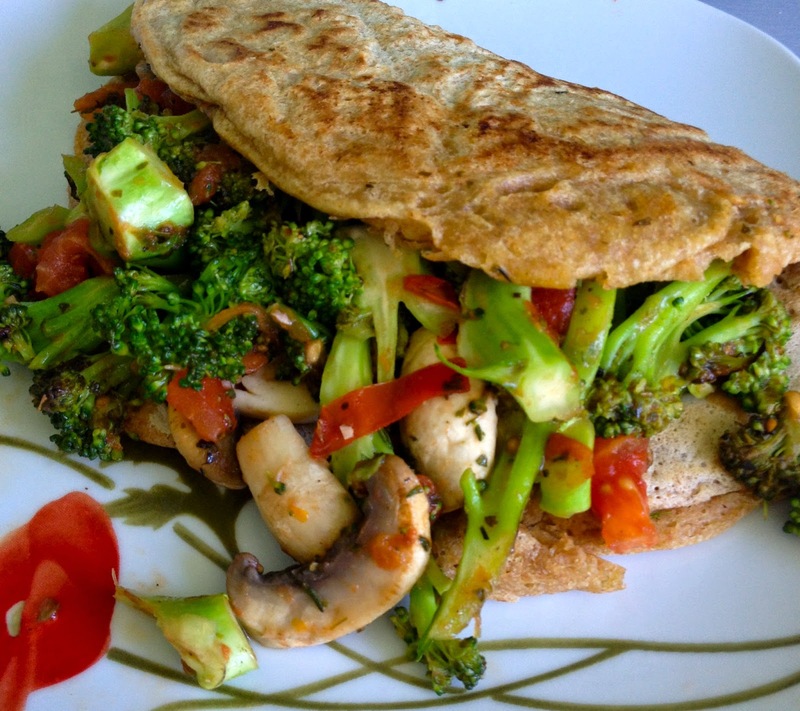 today I want to show you an easy & healthy lunch idea: vegan pancakes with vegetables. In a large bowl, combine all dough ingredients and chop the vegetables. Heat a large non-stick pan or skillet over medium high heat, and wait to start until pan is nice and hot. 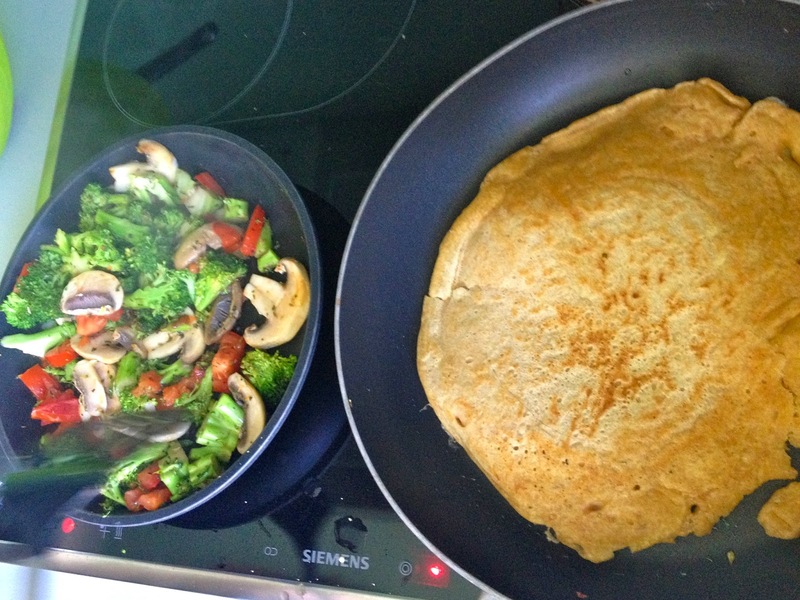 Drop the dough into individual pancakes, sized depending on how big you want yours to be! The dough will be thick, but it will spread and cook through as it heats. Once you see bubbles forming on the top surface, it’s time to flip! In the meantime cook the vegetables in a seperate pan and add the herbs. Flip and cook the dough another minute or so until all of it is cooked through and both sides are evenly browned.